Home/Blog/Gifting Jewellery/Christmas Gift Ideas – Looking for the perfect gift this Christmas? 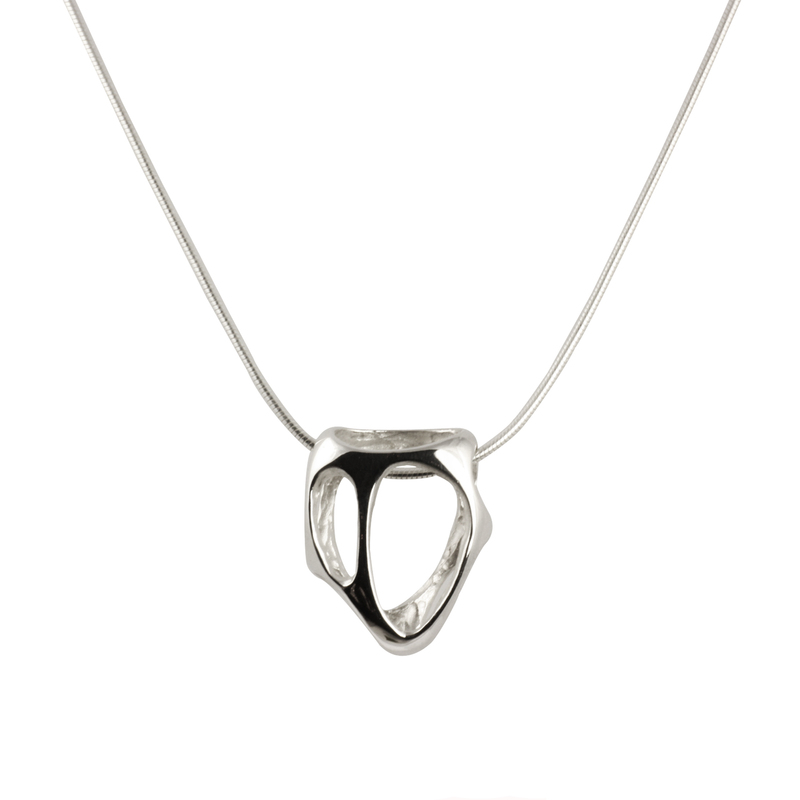 This elegant solid sterling silver pendant features a textured matte finish with polished edges and is simple yet striking. It’s delicate size means that it is a piece that you are sure to wear everyday. These polished tiny stud earrings glisten beautifully as they catch the light, wear them to add some sparkle to your everyday attire. Understated and elegant, this gift that will be appreciated by all. 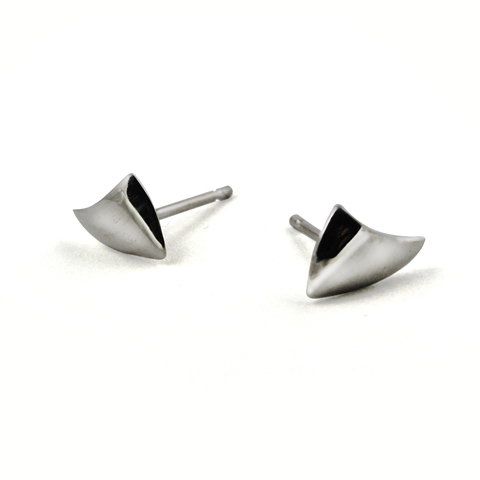 These striking earrings exude contemporary cool. 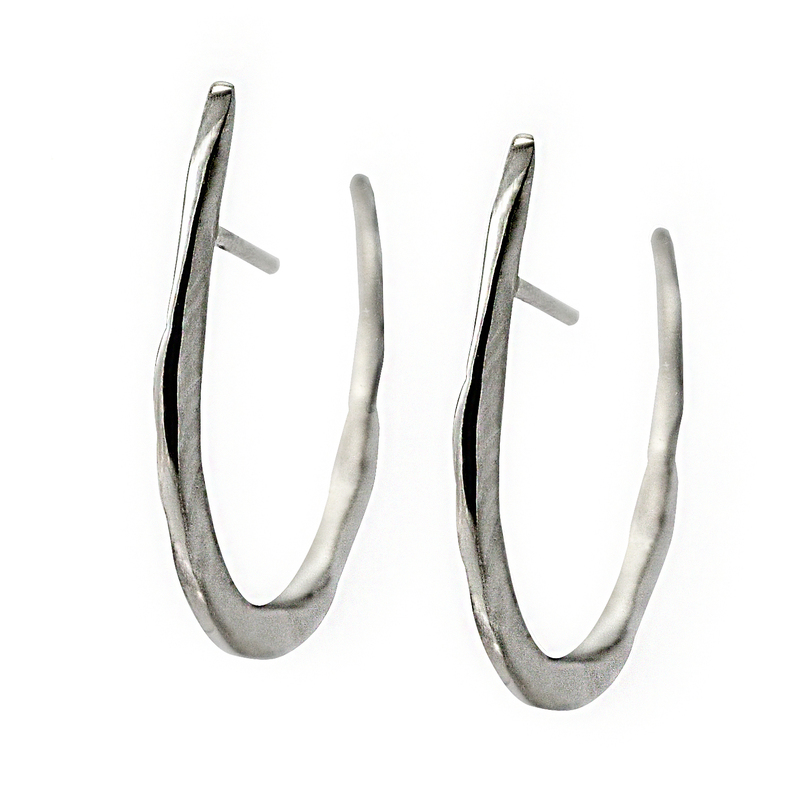 Their polished face contrasts with their heavily textured sides making them a bold alternative to your usual hoop earrings. This versatile silver pendant has a high polished outer surface which contrasts distinctly with the textured matte interior. This unusual piece would make the perfect gift for the creative person in your life. 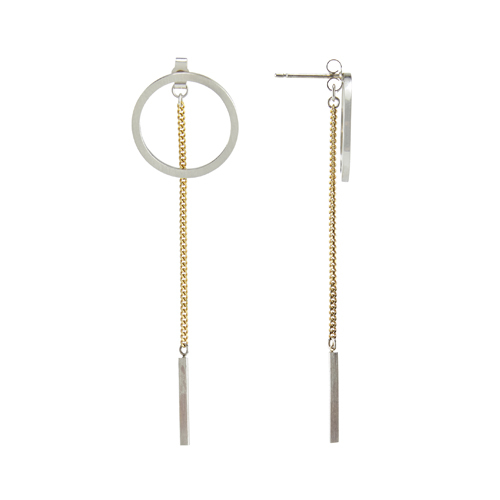 These unique, contemporary silver and gold drop earrings can be worn with the chain drop at the back to add a bit of edge to your daytime look or keep it simple and wear the earrings with a plain back. These modern earrings would be appreciated by style savvy lady in your life. 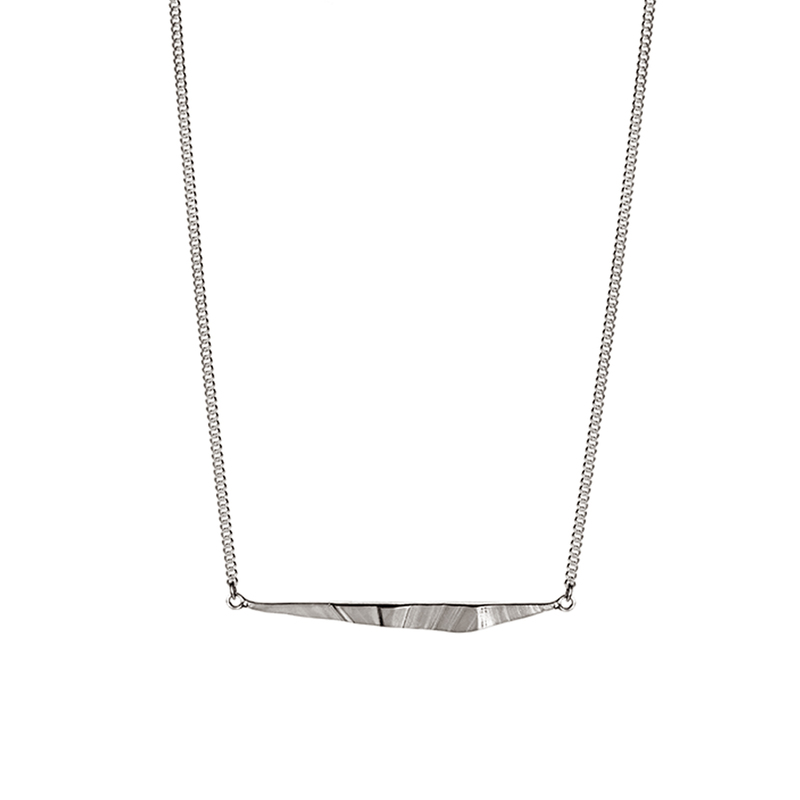 The Linear jewellery collection has a clean, minimal feel. 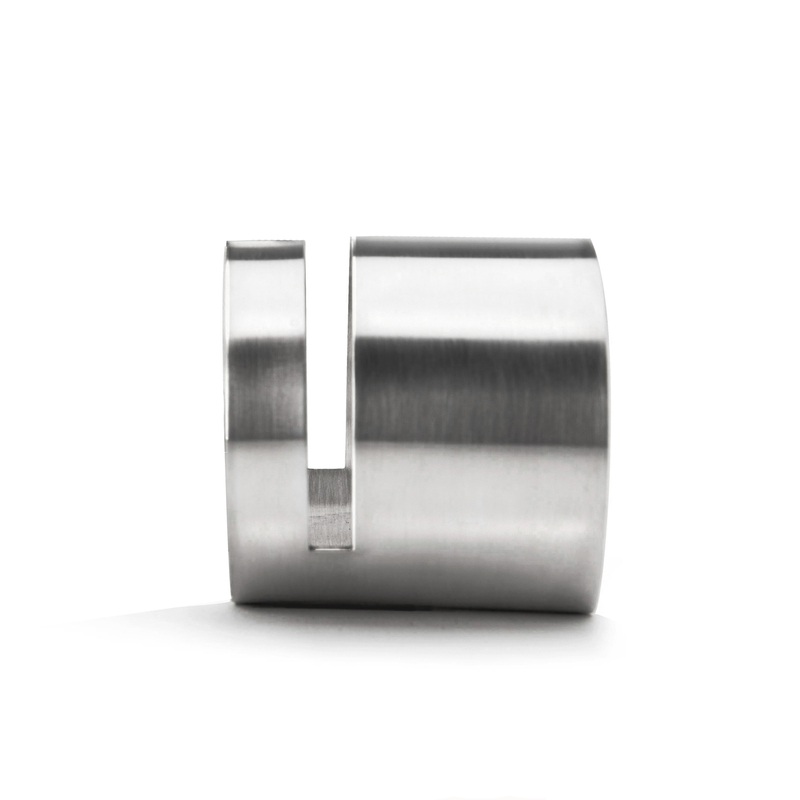 This distinctive cuff with a single cut out detail is handcrafted in solid sterling silver and has a matte finish. A modern piece that will elevate any outfit. 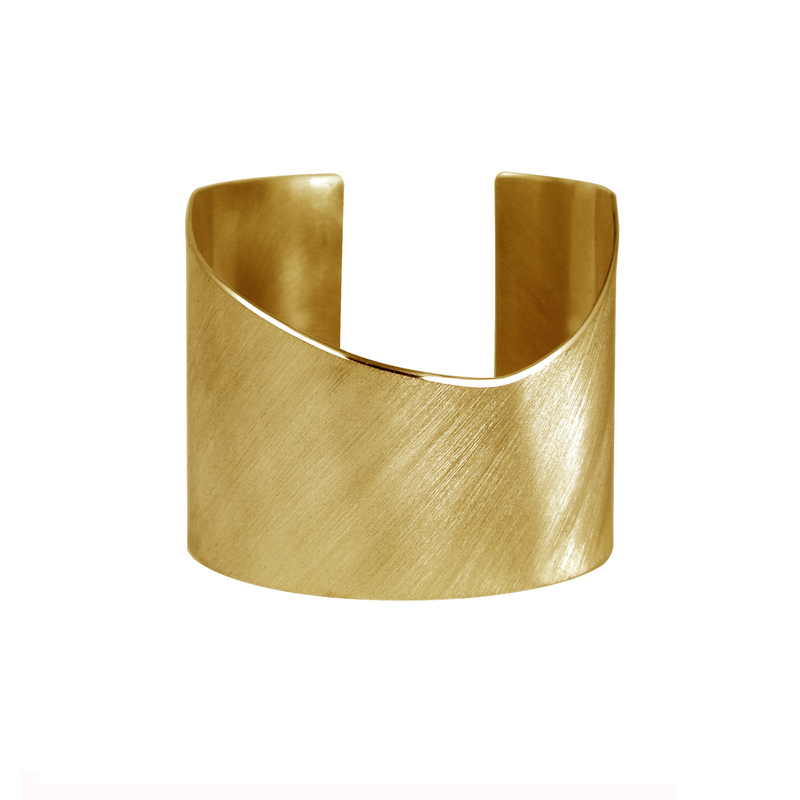 This striking handcrafted Gold Cuff Bracelet has a brushed textured finish and highlighted curved edges. Elegant and stylish, it is the perfect bracelet for an occasion. A gift that will be admired and treasured. All our jewellery is lovingly handcrafted in Cork, Ireland by Maria Dorai-Raj. When you purchase a piece of our jewellery you will receive it presented in a modern black gift box with handmade leather tag and information on Maria included.